Complete your honors project successfully through this workshop series. This will help students build research, writing, and presentation skills. LSC-Kingwood Library has multiple copies in our circulating collection, our reference collection, and at the Reference Desk. Download the LSC-Kingwood Library Guide to APA style citation and a sample paper that includes MS Word tool tips to make formatting your paper and reference list easier. This handout is a quick and easy visual of all the elements organized for a proper citation. Print this handout and use it to organize the bibliographic information needed to create a proper citation. Set the font to Times New Roman, size 12. 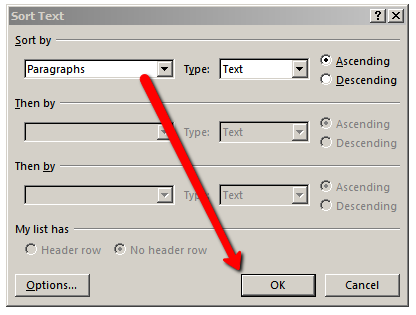 Go to the Spacing section and click on the Line Spacing drop-down menu. Title your paper halfway down the page. Under Pages, click Page Break. Click on the Insert tab in the to menu. In the Options section, check Different First Page. Go to the Top of Page options and select Plain Number 3. Hit the Tab button two times for the Running head to be left aligned. Click on the Insert tab in the to menu. 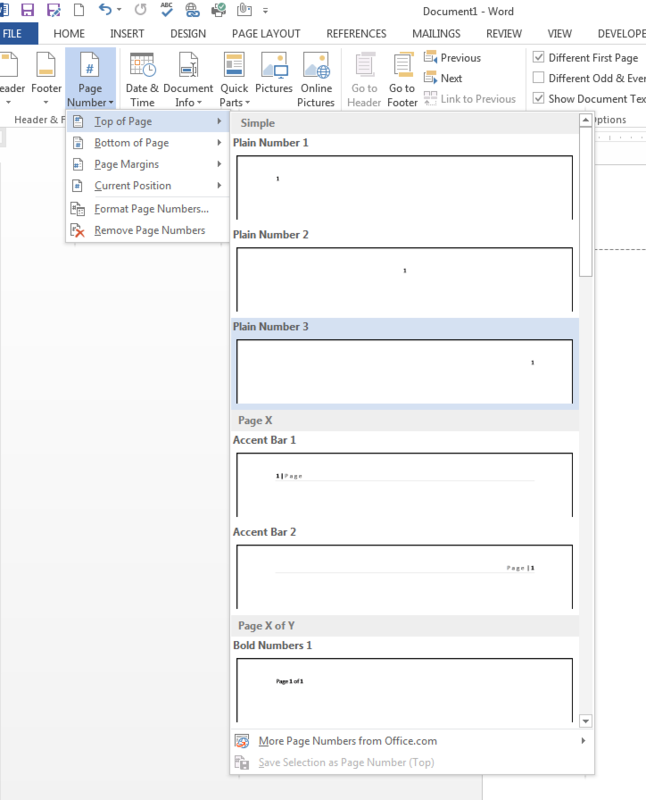 Or double click into the header area of the second or subsequent page. Type: YOUR TITLE in ALL CAPS. Make sure that your font is set to Times New Roman, size 12. Note: it is important to create your page numbers first, because you will lose the text if you put your name in first. When quoting in APA, you are required to credit your source with the author's last name, year of publication, and the page number(s) surrounded by parentheses. For example, "all information you use must be properly cited" (Paiz, et al., 2012, p. 3) to avoid the appearance of plagiarism. Make a page brake between the end of your paper and the start of your Works Cited page. Click on the little box with an arrow; the Paragraph Settings. 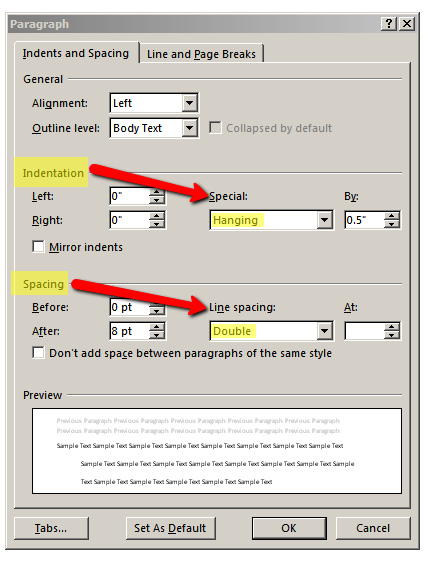 Go to the Indentation section and click on the Special drop-down menu. Please not that you do not have to do anything more to make sure that your citation bumps over on the second line. If you manually moved the text over you will have trouble later when you go to alphabetize the works cited. At this point you can begin to create your citations. Refer to the APA citation guides for proper formatting. Click on the A-Z button in the Paragraph tools. A pop-up box called Sort Text will show up. Do not change any of the settings. -Sort by paragraphs.- Click OK. Et voila! Your Works Cited is alphabetized.